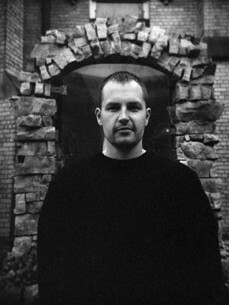 Toronto-based Greg Gow is one of Canada’s leading Techno electronic dance music artists. His international stature is well established and growing rapidly – as a DJ, producer, promoter and label manager. Currently Greg holds down DJ residencies at some of Toronto’s leading electronic dance music destinations, including Footwork, and Guvernment. As well, he is an ambassador for Canadian electronic music around the world, with recent DJ performances in Japan, Germany, Italy, Holland, Mexico and South America. In the USA Greg has also made appearances in Miami, Detroit, New York, Chicago and San Diego. In the studio Greg combines analogue and digital equipment to compose banging yet soulful Detroit style Techno. Many of his prominent releases have been on Restructured, a highly respected international record label, which Greg founded and continues to build. Restructured highlights a wide variety of premier artists from around the globe.